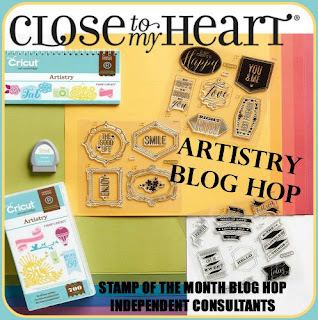 Welcome to the Artistry Blog Hop, a special hop from the Stamp of the Month group of consultants. Artistry is our newest Cricut cartridge! There is SO much to love about Artistry! Now, this is a hop so if you've arrived from Jean McNulty's blog you're on the right track. Just keep clicking on the links to continue on the hop for tons of great ideas! 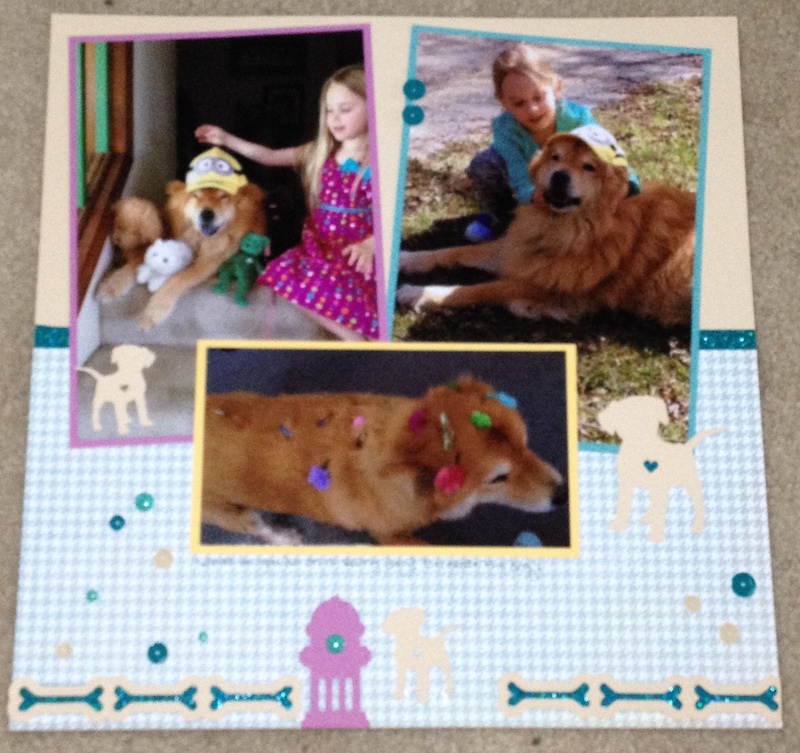 I just love the images with the dogs, so I decided to make a layout of our dog, Jasper with my granddaughter, Rylee. She loves Jasper so much and he is so good with her....patient and tolerant of all the silly stuff she does to him. 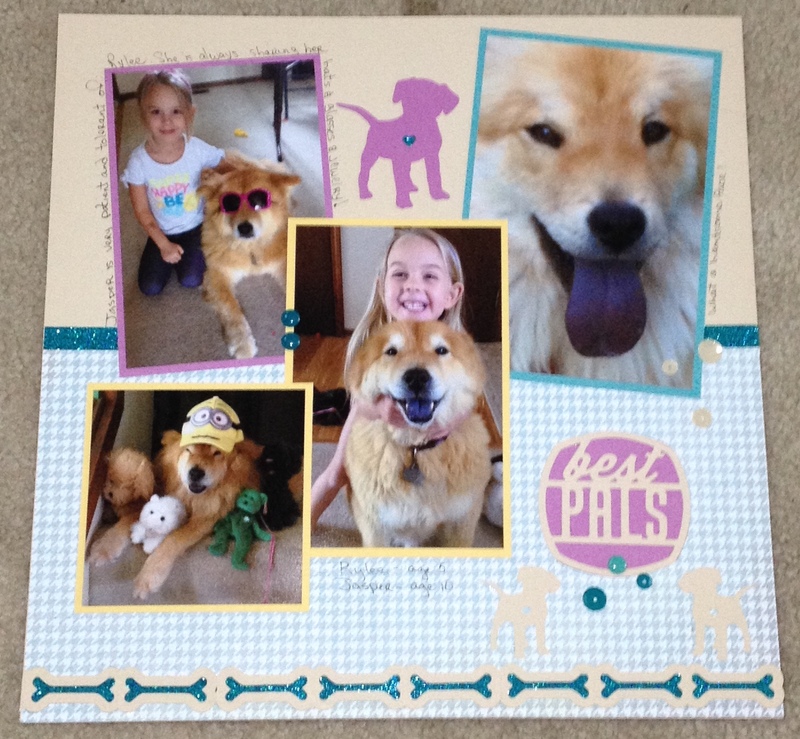 The paper is from the new Zoe paper pack. I love this houndstooth pattern. It's so versatile! The images from Artistry are the bone border (backed with Shimmer Trim), hydrant, dogs and the best pals image. Some embellishing and journalling around some photos and it was done! By the way the new Artistry Cricut Cartridge and Zoe papers are available now! Plus, the Artistry Collection includes 3 exclusive stamp sets AND a paper pack that includes the NEW COLORS! Now it's time to see more ideas using Artistry! Krista Hershberger is next up in the Artistry Hop! 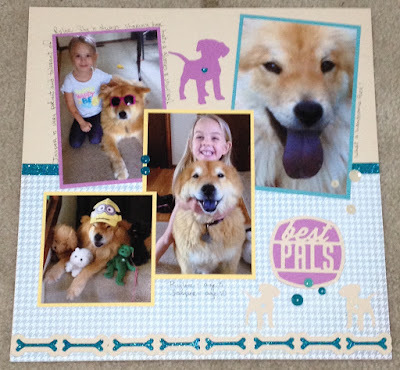 You picked the perfect paper for your photos. They matched perfectly. Love all of the coordinating cuts. Thanks, Melinda. I love the colors in this layout. Love it and it is so fun that your dog has "doggles"!! Thanks, Jean. He's a real sport about all that. Nikka he's a Chow and they have blackish purple tongues. Love your pages. 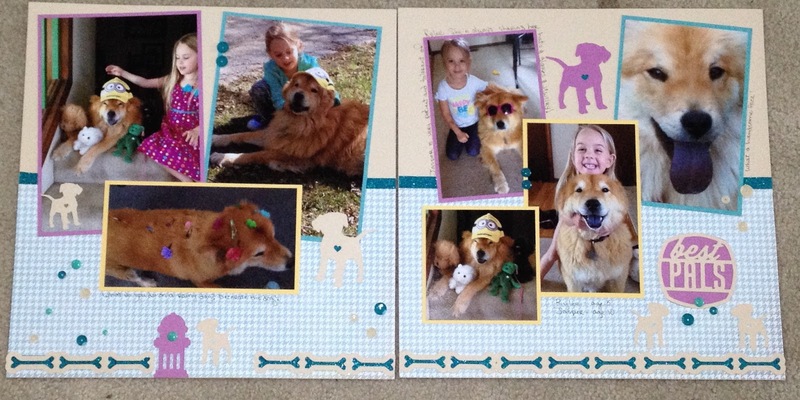 Never see enough scrapbooking pages ...you pages flow so freely and give you big smiles when you look at them! Love your work so beautiful! Too cute. I have to borrow some of your ideas to create a layout for my cats.